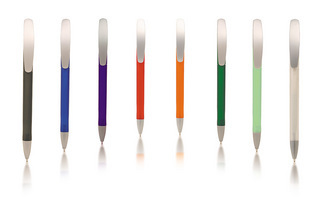 Elegant twist action frosted pen with large plastic silver clip and silver metal tip. Parker style refill. Black Ink.